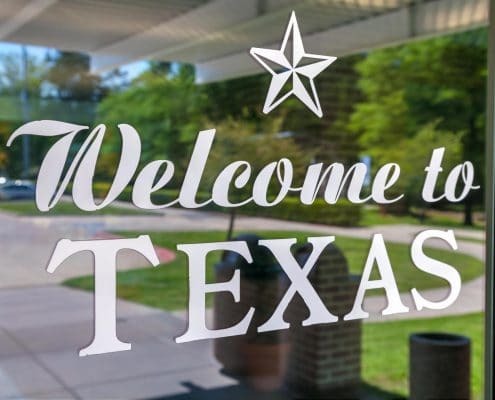 Are you ready to plunge into buying a home in Texas? Are you nervous? Don’t worry. There is an old saying that everything is better in Texas, and this is especially true today. 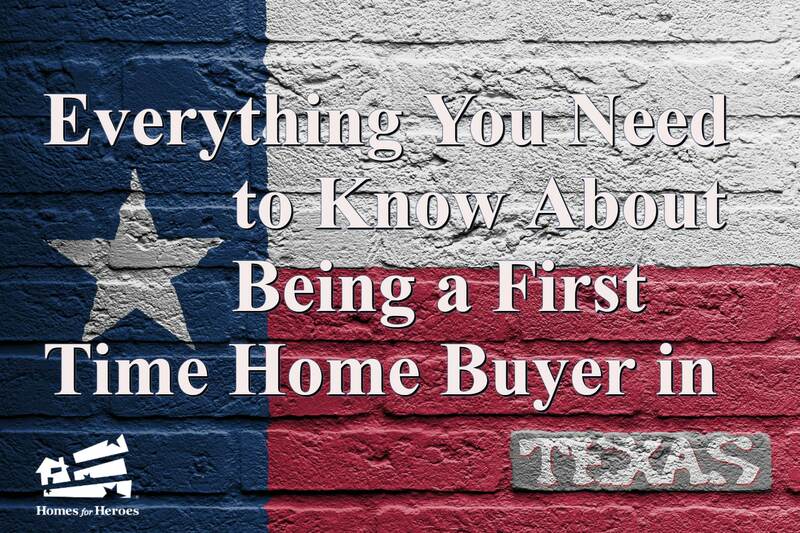 Here is everything you need to know to ease those first time home buyer Texas-sized jitters. The State of Texas is enormous, with over 268,000 square miles of land. In addition to a diversified and robust economy that provides countless job opportunities, residents appreciate the relatively low cost of living, world-class educational opportunities, and access to top quality health care. Buying your first house is a little overwhelming and scary. After all, you’re making one of the most important decisions of your life. Homes for Heroes wants to help make this process more comfortable for you. Our network of affiliated real estate agents and lenders work in local communities throughout Texas to help Heroes with their real estate transactions. Sign up to find out how Homes for Heroes can help with your first home purchase. An experienced real estate agent is the key to making your home buying process less stressful. A knowledgeable real estate specialist is an expert in the local real estate market and can locate homes that meet your requirements and budget. Homes for Heroes real estate specialist affiliates work with first time home buyers all the time and are eager to save you money. TIP: If you use a real estate agent affiliated with Homes for Heroes to buy your home, you will receive a Hero’s Reward check a few weeks after closing. For instance, if you purchase a home for $200,000, you’ll receive a check for $1400 as a thank you. That is the kind of ‘thank you’ we all like to receive. How much can you afford to spend on a house? It’s critical that you know the answer to this question before you start looking at houses. Examine your budget and think about how much of your budget you can devote to housing. Experts recommend that you commit no more than 30% of your available funds each month to housing expenses. Most lenders require that you contribute money at the beginning of the purchase through a down payment. Typically, lenders reward borrowers who can put 20% or more into a down payment by giving them benefits such as lower interest rates. There are many home loans available to buyers that require less money in a down payment. For example, FHA loans require a down payment of 3.5% for those who qualify. VA loans do not require any down payment for eligible borrowers. Check with a Homes for Heroes loan specialist for information on home loans that meet your needs. Obtaining a loan pre-approval letter from your lender early in the house hunting process helps to ensure a successful purchase. A pre-approval letter is a written guarantee of a home loan from the lender. Sellers prefer buyers with pre-approved financing, so the letter strengthens your purchase offer. TIP: Don’t make any significant purchases after you get pre-approved because any changes in your credit might cause the lender to deny the loan. Once you know how much money you can spend on your new house, it’s time to figure out where to search for a home. Experienced homeowners attest to the importance of choosing a neighborhood that suits your basic needs and personality when buying a house. Your sweat equity can improve a house, but cannot fix the entire block. So, research local areas before you start touring potential properties. At a minimum, a neighborhood needs to fit your requirements. The list below gives suggestions of fundamental needs for many homeowners. What features do you have to have in a location? Buying a house in Texas is so rewarding because you don’t have to settle for a community that just meets your basic needs. Instead, you can move to an area that makes you happy. Does your dream include raising chickens? How about vibrant urban condo living? A house in the suburbs with a pool in the backyard? 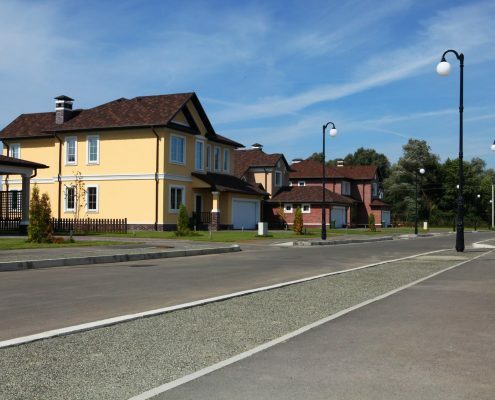 While you’re searching for your new home, look at a variety of housing options. That bungalow with the yellow rose bushes in the backyard might whisper a nice, warm welcome. TIP: Take photographs and notes of each tour. At last, it’s time to make an offer on the house. Rely on your real estate agent for advice on the market and the specifics of your proposal. 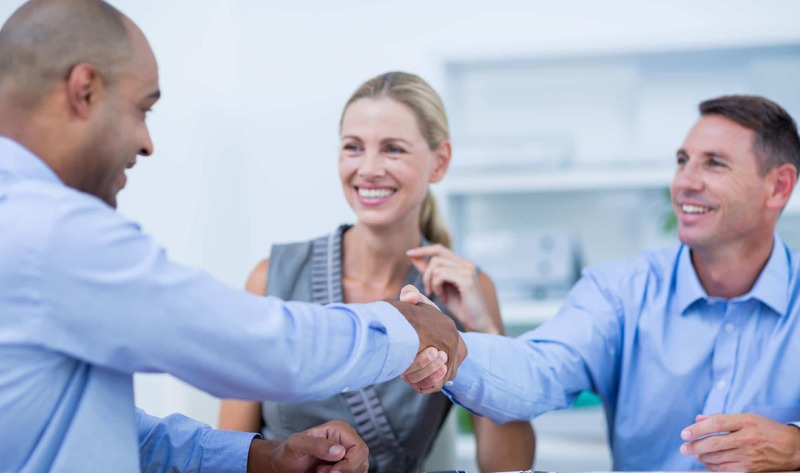 The negotiating phase of the house buying process is where your decision to hire an expert real estate professional pays off. Homes for Heroes partners with businesses throughout Texas and Nationwide to help Heroes save money. Ask your real estate specialist for information about local business deals that will keep money in your pocket as you settle into your new home. Lastly, you’re making a wise decision in choosing to purchase your first home in Texas. The Lone Star State delivers its residents an exceptional quality of life and incredible opportunities for the future. Sign up for a no-obligation referral to real estate professionals in your community.